This was so easy and so delicious. I found this recipe on Pinterest, but originally it was posted on this Blog. Detoxinista has lot’s of great recipes that I haven’t tried yet, but this one I tried and it was GOOD. I just love that it is only three ingredients. Depending on how well you know me, you know I have a sensitive digestive system. And as I get older, I am taking this a little more seriously (not too seriously since I had pizza last night since wheat and dairy are two of my arch nemeses.) But, I am a work in progress! And this dessert/snack/delight is a step in the right direction! 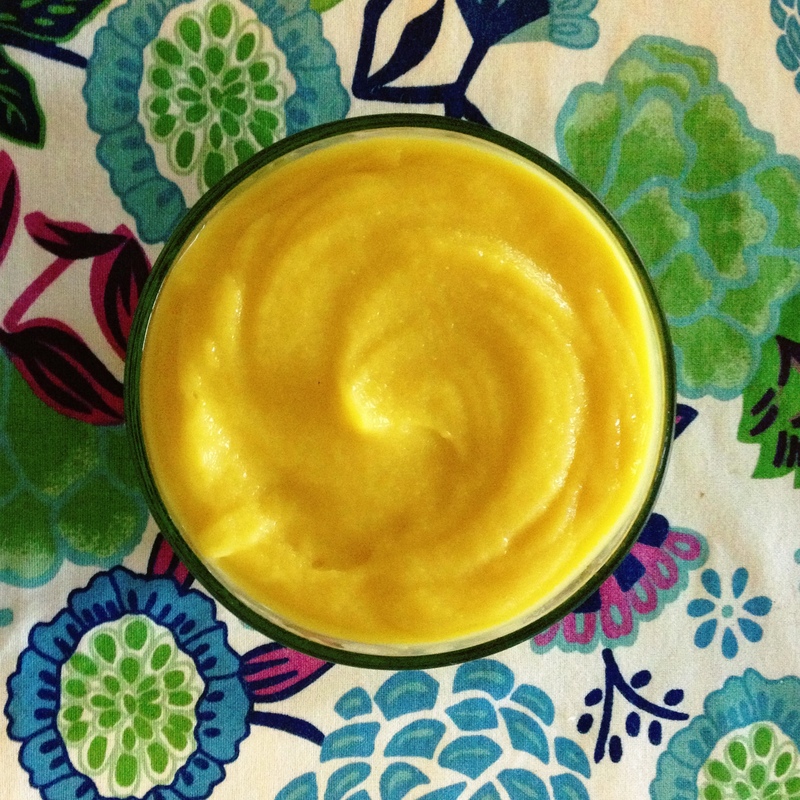 I guess it isn’t technically a sorbet, but that is what it tastes like to me…The detoxinista calls it Pineapple Whip. You should also know that I have included the original recipe, but with my notes. I rarely have the exact ingredients for things, so I improvised, but it was still really, really tasty. 1 fresh pineapple, peeled, cored, chopped and frozen (I opted for the frozen pineapple chunks from Trader Joe’s). 2. 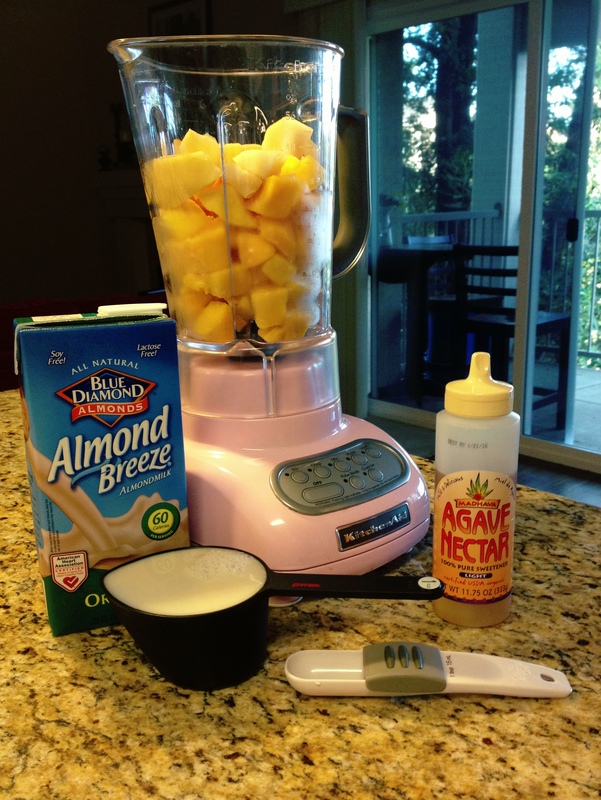 The detoxinista recommends using a Vitamix blender, which I guess is a special high-speed blender? I used my Kitchenaid blender and it worked great. 3. 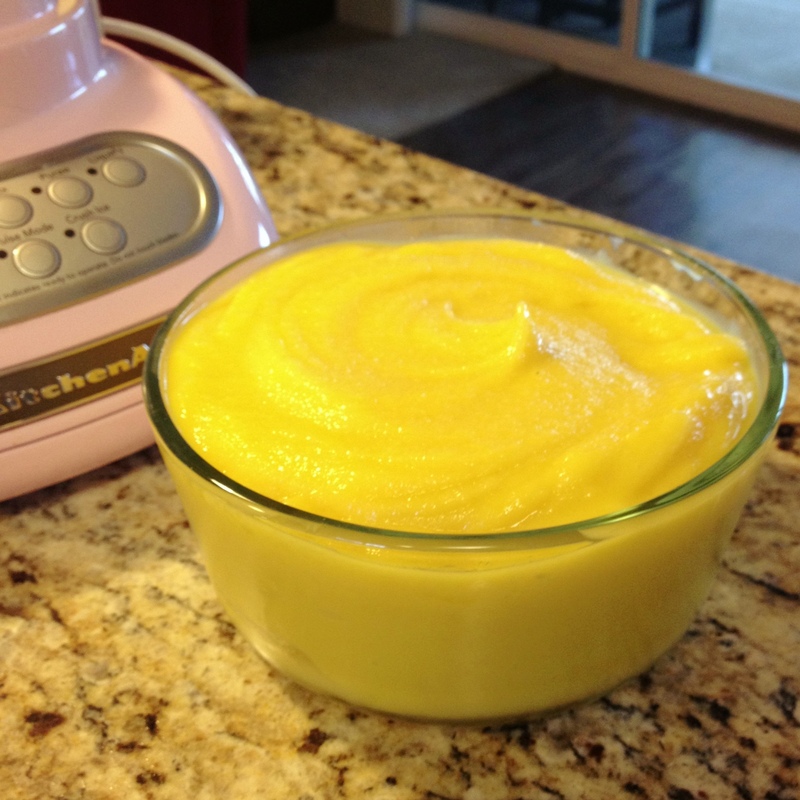 Just put the three ingredients in your blender and blend until you achieve a creamy, sorbet consistency!